IPL 2019 Match 24 MI VS KXIP. A knocking match which will be game decider either its win for the MI or KXIP to resolve the past head to head records. 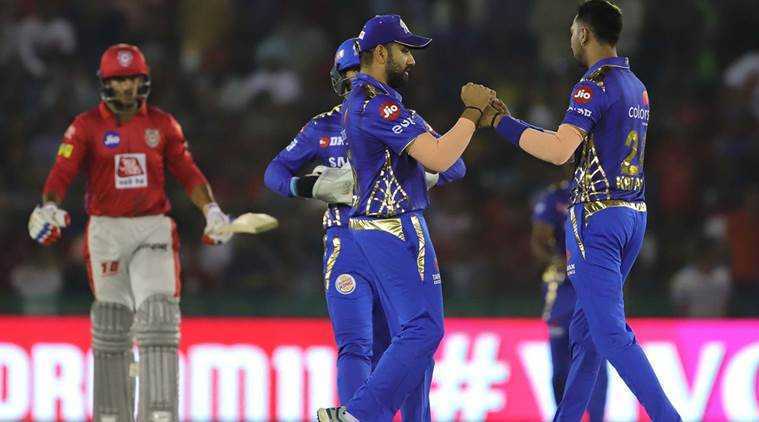 Mumbai Indians and Kings XI Punjab are again facing to face with each other in this VIVO IPL season 2019. They have played match 9th of this season and in that Kings of Punjab have outnumbered MI at their home ground and this time its Mumbai Indians home ground and they are in full form to lay their hands on KXIP. Both the teams have defeated their last opponents in their respective matches to Sunrisers Hyderabad. The debutant Alzarri Joseph starred in the Mumbai Indians’ 40-run win over Sunrisers Hyderabad. While Kings XI Punjab has made sure not to be left behind it and with that, they come up with the best strategies and compilations of the team. Even though in their last they got the victory but a stable and match winning team is yet to be achieved. Rohit Sharma might miss this game due to an injury and yet Lasith Malinga left Mumbai Indians to play their Domestic One-day tournament. Out of the tunnel, the same squad of both the teams will be playing on the field. KXIP and MI have been 23 times against each other with very much tough competition MI have only one win above to KXIP. With this match, it will be decided either it’s a tie between them or it’s a win for MI once again. Teams have been overall performing well with placing themselves at good positions in IPL points table. Previous records show a tough competition between them so to place the money on one team is difficult to choose. But with a little edge, Mumbai Indians are one to be winning. MI team looks much balanced and focused team to have won in their hands while KXIP is still exploring the squad to come up with many subtle combinations.